Forecast for today wasn’t looking too hot, so the plan was to get up and get out early for a 3ish hour ride to try and beat the rain. I got up, got out, but didn’t beat the rain. Still had a good ride though. I decided to head out to Dixie Mountain road. 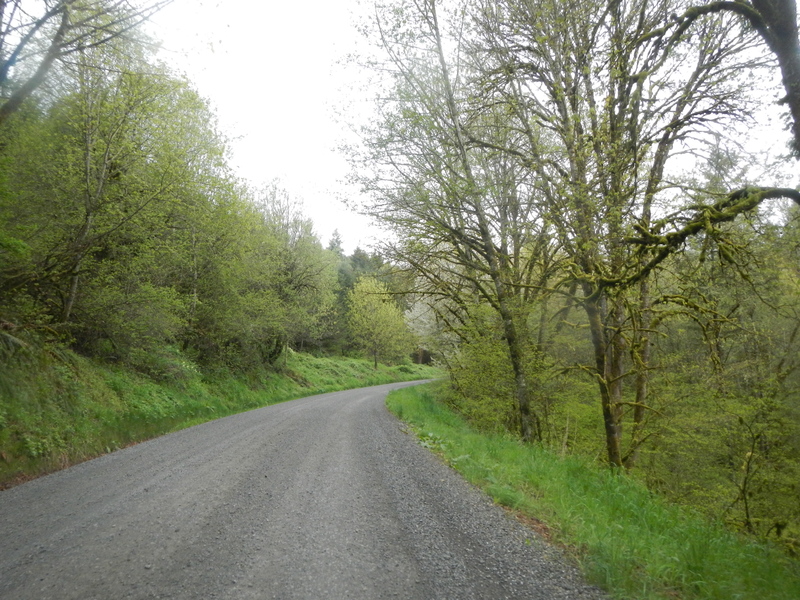 a 7+ mile climb of gravel roads up to Skyline. I’m still working on dialing in the fit on the Niner RLT, I think after today’s ride I have it. Lowered the seat just a smidge and the other night I dropped the bar height 15mm. feels much better. Now if I can just get those stupid Avid BB5 brakes to stop squealing! 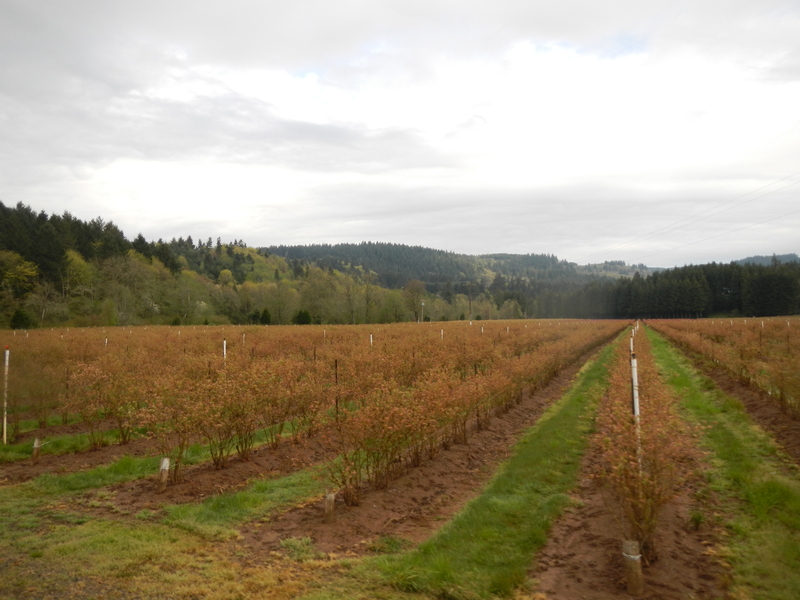 Just before the gravel begins and Kay Road starts to head UP, there is a large blueberry farm. Hopefully they aren’t just commercial and we can go pick there when the berries are ready. Also just beyond were the gravel starts is a Bamboo “Farm”. Some of the bamboo is well over 30+ feet tall. I may have to check this out on some lazy Saturday afternoon. Between hours 1&2 of riding, I saw 2 whole cars! Again, a huge plus for me. It didn’t start raining until I got back onto the pavement and headed east on Skyline. It is at this point that I have to say I am very happy to own some superb technical clothing. My Pearlizumi Amphib bibs and softshell jersey really kept the elements out. I stayed comfortable, if not entirely warm (on the downhills) thanks to some awesome cycling clothing. It reminds me I need to get a few more crappy weather tops and bottoms for riding. Last, but not least, please excuse any poor grammar or typos. 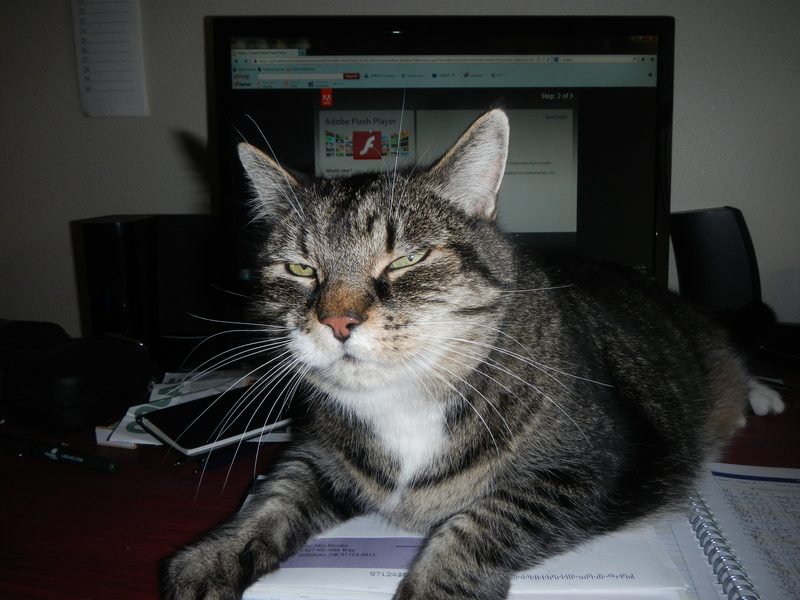 I blame my editor! Looks like you are enjoying yourselves. That’s Great. We are looking forward to seeing you in the fall.